Sample Acceptance Criteria — Babcock Laboratories, Inc. If this waiver applies to a specific sample I.D. or project, please explain in the next comment box. Leave this box blank if you selected "all future samples" above. Please check all of the sample acceptability problems to which this waiver applies. Leave this box blank if you did not select "other" above. I authorize Babcock Laboratories, Inc. to perform all current and future analyses, regardless of whether or not the respective samples meet the Sample Acceptance Criteria upon submission, according to the specifications I have declared and agreed to in this Sample Acceptability Waiver. Thank you for completing the Babcock Laboratories, Inc. Sample Acceptability Waiver. This message is confirmation of your form submission. If you have questions or concerns, please call us at 951-653-3351. 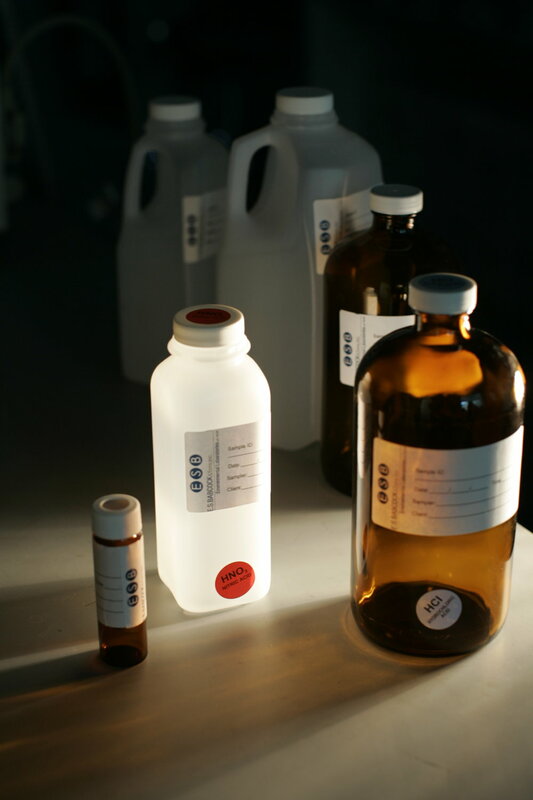 If the resampling event is caused by client failure to follow sampling and/or shipping instructions—such as failed pH due to loss of preservative in field, insufficient sample volume, broken or damaged bottles due to poor packing, or improper sample temperatures due to lack or misuse of ice packs—the client will be responsible for all resampling costs. If applicable to the work order, these resampling costs may include (but are not limited to including) field sampling services; courier services; and packaging and shipping services for new sampling kits. Please also note that samples delivered after normal business hours (i.e., after 5pm on weekdays) without prior arrangement may not be received and logged in by the laboratory until the next day. For information about the sample acceptance criteria pertaining to your specific sample(s), please contact your Project Manager. *If submitted samples do not meet sample acceptance criteria the client may opt to give the laboratory written permission to continue with the analysis, if desired. If the client wishes to continue with analysis regardless of unmet sample acceptance criteria, the client must sign a Sample Acceptability Waiver to document blanket approval to proceed with analysis despite sample condition upon receipt. A case narrative may be added to the data report stating the unacceptable condition of the sample upon receipt.